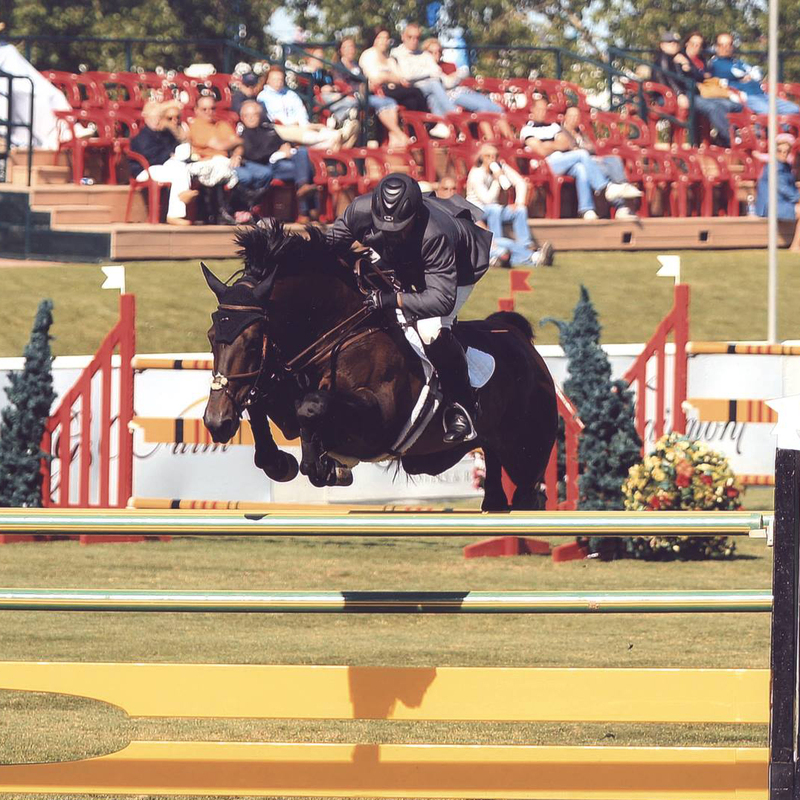 Bio and Performance Record: Peterbilt, an Elite BWP/NAD Stalllion, was chosen to represent New Zealand at the 20110 World Equestrian Games in Lexington, KY. Peterbilt began his career by winning the International Jumper Futurity at 4, followed by wins in the Young Jumper Championships at 5 and 6. During 2010 Peterbilt & Guy Thomas won several Grand Prix events, including the $30K Jennifer Marlborough Memorial GP, $25K Capital City Classic GP, $25K Prix de Pickwick, $25K HITS Grand Prix, and placed 2nd in the $300K Grand Prix of the Desert. Peterbilt has had an amazing consistent Grand Prix career and is one of the very best US Bred Stallions in America! Peterbilt’s offspring are beautiful and very athletic with good conformation. In 2014 he sired 2 top scoring 2YOs including “Megeve” who tied for 1st place with a high score of 83 and “Mia Valeska WTF” out of Willow Tree Farms’s Darco mare ‘Valeska’ scoring a 4th place finish 80. During 2015, Peterbilt’s 3YO son “Megeve” (Peterbilt x Landwien) became his first Approved Stallion with the BWP/NAD. Peterbilt was the sire to the 2016 top Yearling for BWP/NAD, “Porsche” owned by Richard Neal and out of his high performance mare “Larina” (Landwein).